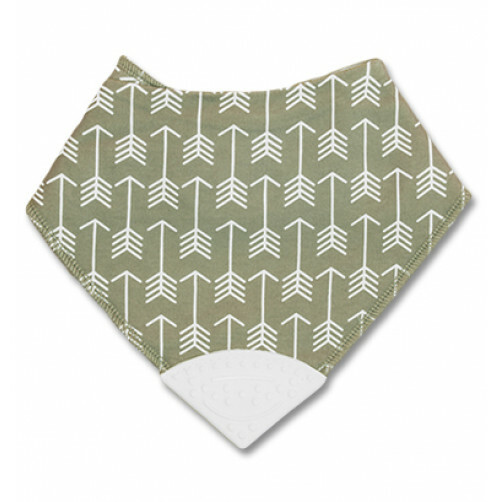 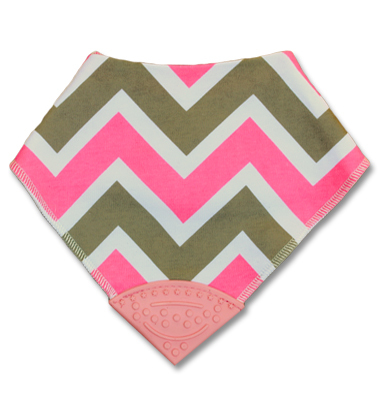 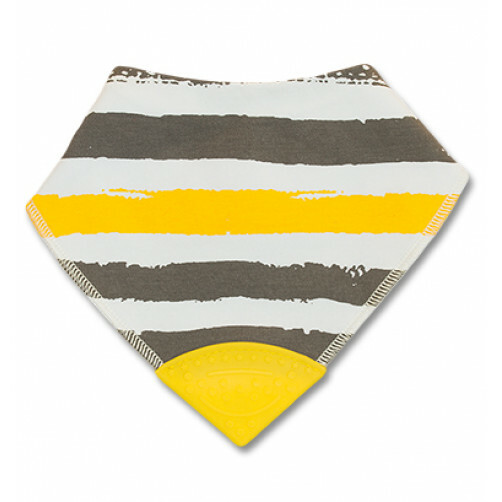 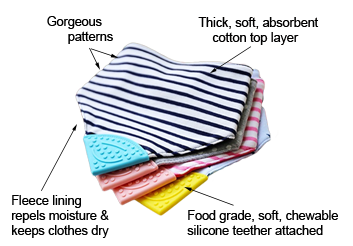 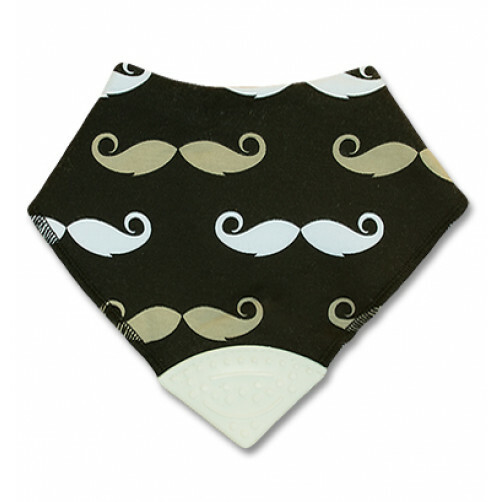 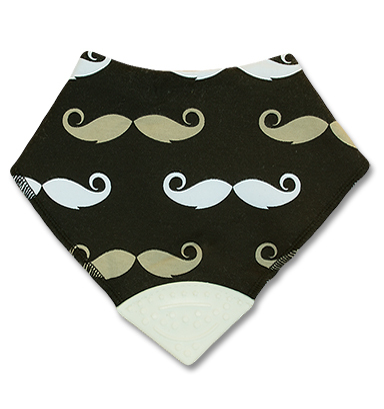 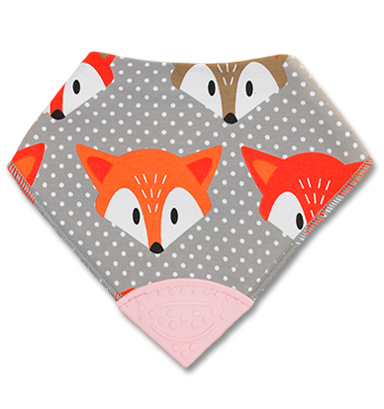 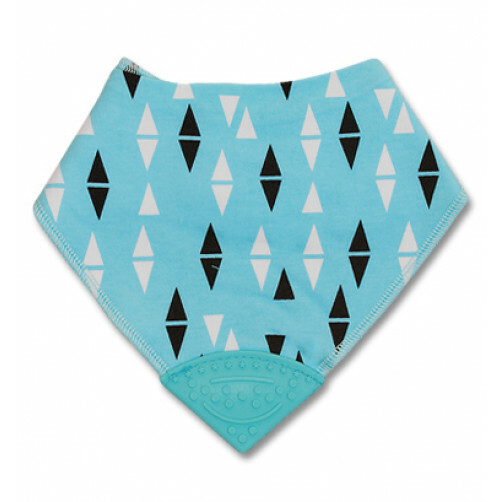 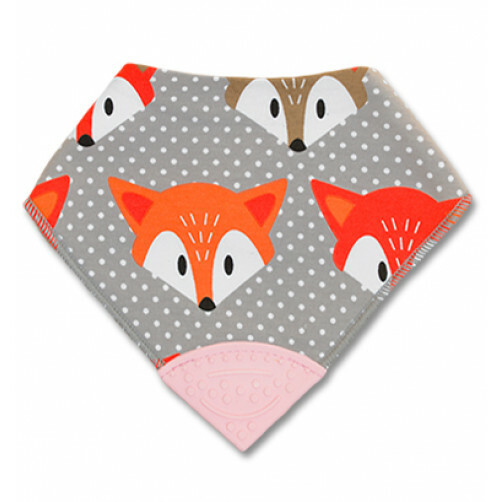 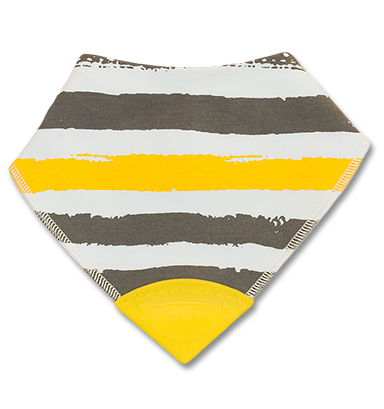 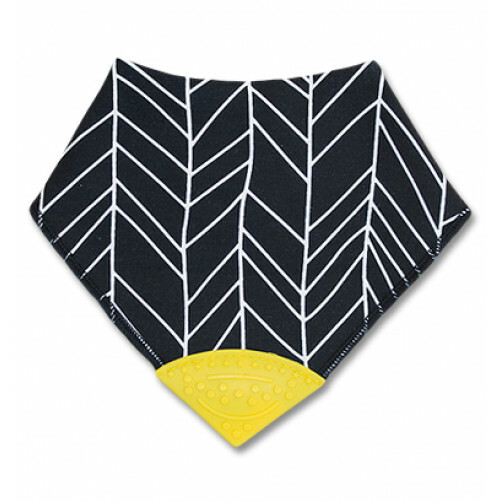 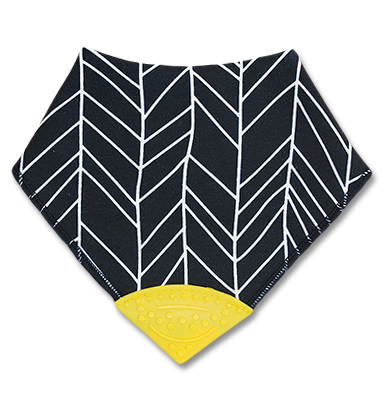 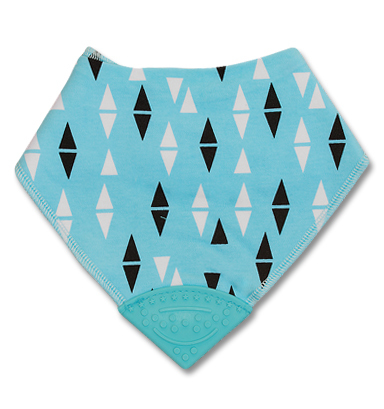 That’s why these bibs feature a “built-in” soft chewable silicone teether. 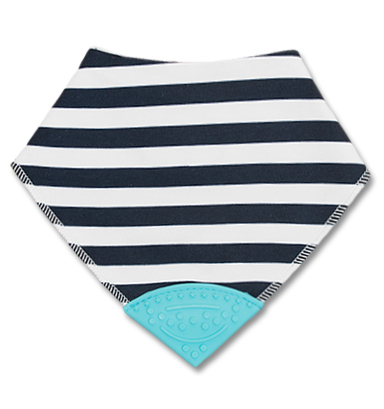 The ridges and bumps on the silicon teether offer relief to those itching little gums. 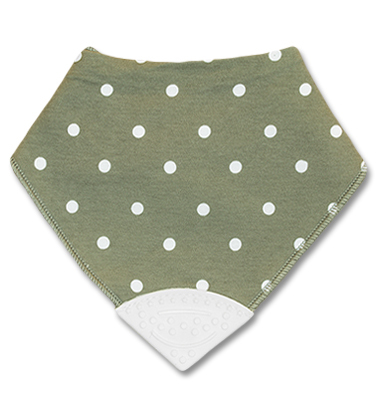 100% Cotton bib outer top layer. FDA approved, BPA free silicone teether. 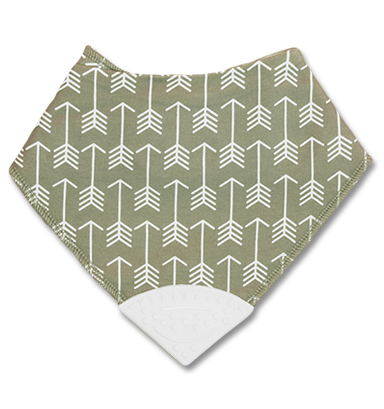 Metal snaps with two size settings.